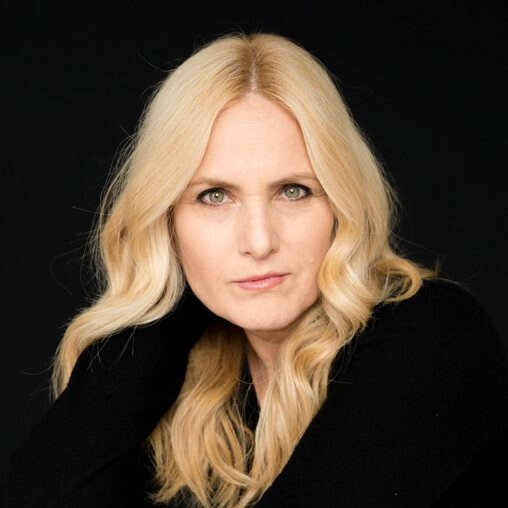 A conversation with Lolly Daskal. Those who follow me know that I have an interview series called Lipps On Life where I talk to extraordinary people who are living their dreams. It’s my hope that their stories will inspire you to live your own dreams! This month’s guest is Lolly Daskal. Lolly is one of the most sought-after executive leadership coaches in the world. She founded Lead From Within, a company that helps leaders make a meaningful difference in their lives, workplace, and the world. Lolly is an acclaimed speaker and writes for publications including the Harvard Business Review and Psychology Today. Lolly’s second book, “The Leadership Gap: What Gets Between You And Your Greatness,” will be published in May. If you don’t have time to listen to the full interview or want to re-listen to certain sections, audio and video clips are posted to the Lipps On Life website and @LippsOnLife social media channels. -I’m a very curious person. When I was younger, I kept asking ‘why, why why?’ I always wanted to know what makes people tick. -I have a discipline of waking up at 4:30am. Between 4:30 and 6:30, I read a book. -This helps me with my clients. It’s important to have a new story to tell, new system to bring, or a new idea. -Reading a book a day keeps me current, inquisitive and smart. I love to read! -I read 5 subjects: philosophy, psychology, biographies, poetry and quantum physics. These are interesting subjects that I can learn from. -On my birthday I reread the same book. For the past 27 years, I’ve reread “The Man’s Search For Meaning” by Viktor Frankl. It helps feed my soul and puts everything into place. I learn that whatever is meant to be will be. -I like the big picture idea more than anything else. Viktor talks about how we can find meaning in everything that’s going on in our lives. Change it from “why me” to “why not me.” Be the person that can find something beautiful in everything and find meaning in everything. Then you will know that everything is fine and will be OK.
-When I graduated college, I went to find myself. I always figured that if I could understand myself then I would have insight into others. -I have three mentors. They are mentors that I’ve never met: Viktor Frankl (the meaning of life), Joseph Campbell (in your abyss you find your treasures) and Carl Gustav Jung (we are whole human beings and the sum of our parts). If you are having a journey inward and these are your three mentors, you can go through and survive anything. -When I was 18, I was struggling. I knew that if I was going to survive my challenges, I would have to lead from within. -My concept is heart based. This means that who we are is more important than what we do. -Most of my work has come from clients recommending me. Or they read about me in a publication and then reach out. -I keep a journal by my bedside. Before I get out of bed, I ask — what am I grateful for? This grounds me for the day. -In the evening, I ask myself two questions: What did you do great today? What can you do tomorrow to be better? -I learned a long time ago that if I’m going to compare myself to someone else, I’m never going to measure up. The only person I can measure anything against is myself. -If we want to do something great, we have to have confidence. But each one of us suffer from feeling like an imposter and have self-doubt. Self-doubt doesn’t allow us to create something beautiful in the world. So I started this ritual about measuring how I can be better tomorrow. -I am of service to others all the time. But I’m a human and sometimes it’s nice to receive. So I have a ‘smile folder’ that I put beautiful letters and emails into When things are difficult, I read it. It reminds me that I’m making a difference. -I’m really big into the heart. I believe that if we come from compassion or empathy that we can get anything right. -I am very present. When I meet someone, I am present with them and only think that this person will reveal themselves to me in the most beautiful way. I wouldn’t be successful if I was to judge someone because everyone has layers. – When people come to you and say that they have a problem, they don’t want you to fix their problems. They want you to listen. – Touching people’s lives is very important to me. – I want to reach as many people as I can. I want to help as many people as I can. I want to impact lives as many as I can. It’s not about the number, it’s about the impact. If someone reads my book and said that it helped them, that’s life changing and game changing. If we can change lives one at a time, that’s what life is about, isn’t it? -Life is an unfolding. We find ourselves in opportunities and just have to take them. -I don’t think of my life as a dream but I think of it as being purposeful. Dreams are great and beautiful but I try not to have dreams as much as to have things that I want to accomplish. Dreams are hopes. Purpose and meaning are more grounded: I’m going to take action and make something happen. -If I am excellent and purposeful today, it creates my future. If I am doing taking action today, it will give me something wonderful tomorrow. Some people might say — I don’t have greatness. But I want to say that greatness is a destiny that’s available to anyone and we just have to make that choice. If you can make that choice, things will unfold in the most magical way. Thanks so much for reading! I hope that you enjoyed learning from Lolly as much as I did! I’d love to hear from you and hope that you’ll connect through social media or LippsOnLife!